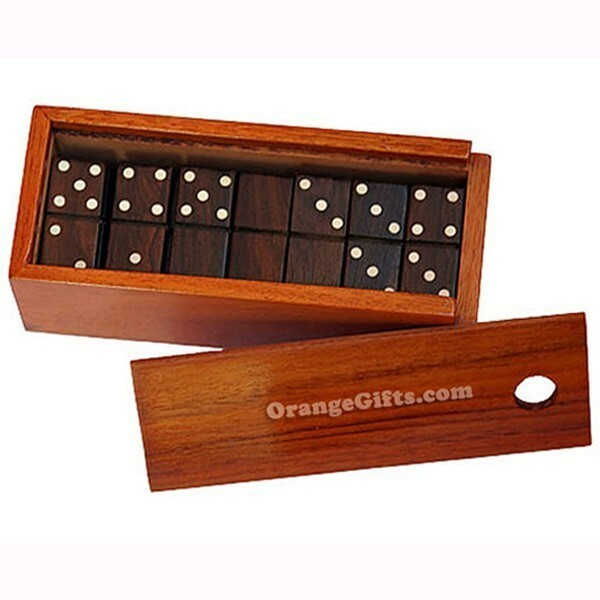 Set comes in a beautiful mahogany box. 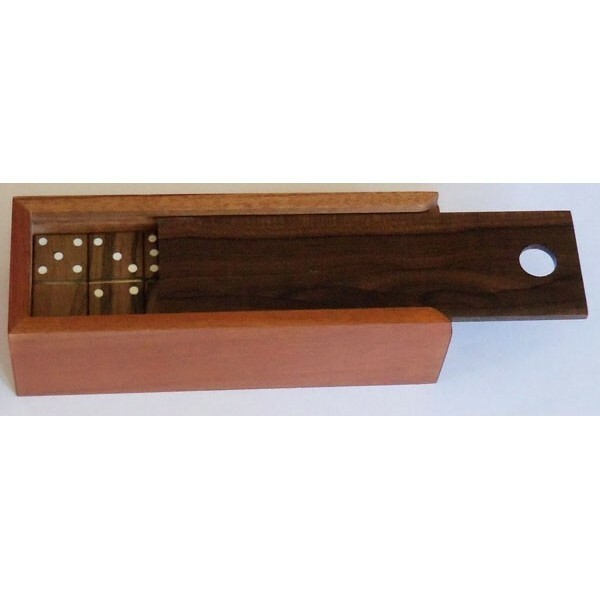 Box Dimensions: 7-1/2" × 3" × 2-1/4"
Dominoes are thought to have come from China, but some researchers theorize that they actually originated in ancient Egypt, as a similar game was discovered in the tomb of Tutankhamen among the ruins of Thebes. 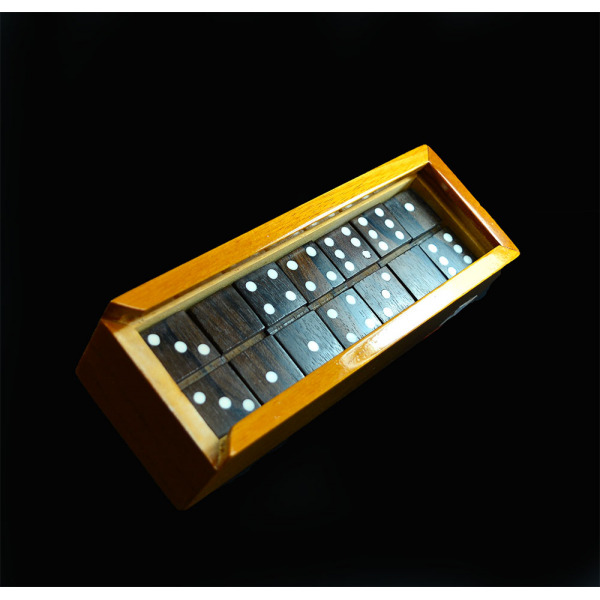 Italian traders are said to have brought dominoes to Europe in the 18th century where they became a popular pastime in both parlor and pub. 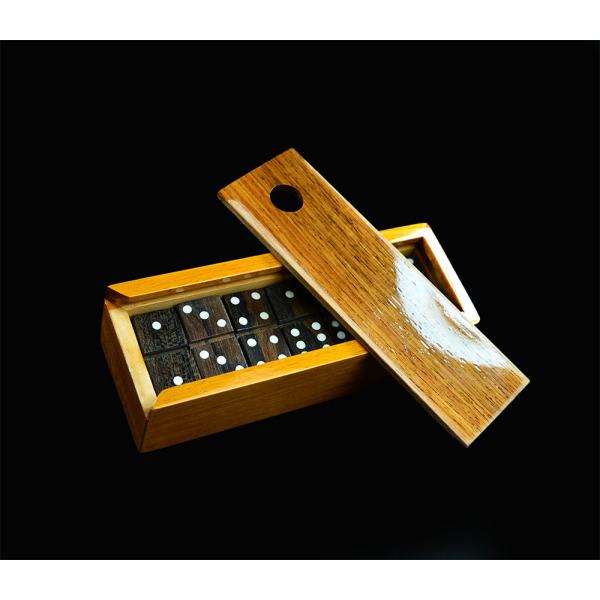 Orange Gallery's wooden domino sets are beautifully handcrafted out of Belizean rosewood with inlaid "pips" of white bone, and come in a lovely handmade case of Honduran mahogany.